Streamline your beauty routine and lighten your gym bag with these all-in-one wonder products. If your gym bag is getting too heavy, check it’s not your toiletries that are weighing you down. The new trend in beauty care is for all-in-one hero products – here are our favourites. Don’t be content with standard foundation, moisturizer or suncream – your make-up could be delivering much more. We know that sun protection is important, but why not hydrate too? Try Clinique’s Moisture Surge Tinted Moisturizer SPF15 ($33 for 30ml, Clinique.co.uk). The lightweight, oil-free formula delivers instant hydration and gives you a flawless complexion. SPF15 is the minimum factor you should use to avoid sun damage. When you hit the showers after a workout, it’s convenient to have just one product for hair and body. Weleda’s Calendula Shampoo and Bodywash ($11 for 200ml, weleda.co.uk) made with sweet almond oil and sesame oil is so gentle it can be used on baby skin, too. When you buy skincare that’s free from chemical nasties, such as the Essentially Yours Fragrance Free Organic Shampoo and Body Wash ($12 for 250ml, lucyrose.biz), you’re more likely to be able to multi-task with it. Speed up your daily skincare routine by using Green People’s Oyl Cleanse and Moisturise ($15 for 50ml, greenpeople.co.uk) 3-in-1 lotion. It works as a cleanser, moisturizer and make-up remover, depending on how you use it. To take off make-up and cleanse the skin, rub a generous amount all over your face and remove with a warm, damp cloth. To moisturize, apply to your skin in a tapping motion until it is absorbed. The formula contains prebiotics to kill bacteria that can cause spots and blemishes. We never thought we’d find a product that’s as good for your hair as it is for your under-arms! Dr Hauschka’s Body Silk ($34 for 50g, drhauschka.co.uk) works to soak up moisture (or greasel) in your hair, without leaving a grey residue, and can be used as talc for the rest of your body. Sage is often added to shampoos to eliminate dandruff and limit oil production, but it also acts a mild skin deodorant. Silk powder is antibacterial and absorbs moisture. Carrying a tub of moisturizer with you all day is not realistic. Whether you’ve got thirsty skin, dry lips or simply need a little extra protection for your nose or ears when it’s chilly, a moisturizing balm is all you need. The Badger Ginger and Lemon Lip and Body Balm ($8 for 21g, boost.com) is a spicy salve with a base of extra virgin olive oil, castor oil and beeswax. Aloe vera and wildflower honey moisturize rough skin, while ginger, lemongrass and lemon invigorate your senses. Rub onto damp skin after a shower to lock in moisture. The fresh fragrance of this highlighter is part of its appeal, along with the dewy glow it gives your skin – even when you’re feeling tired. The brilliantly natural effect makes it ideal for day-to-night make-up. 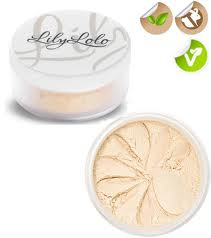 Blend a tiny squeeze of this cream into your cheeks to give a soft and shimmery gleam to your complexion. It quickly turns to a matt finish and feels super-soft to the touch. Use this fine powder on your cheeks, shoulders and décolletage to reflect light. 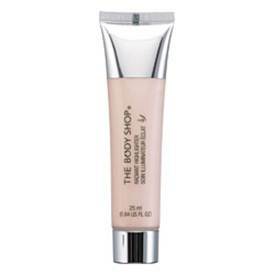 It’s water-resistant and is perfect for using on top of your foundation and blusher without looking heavy. 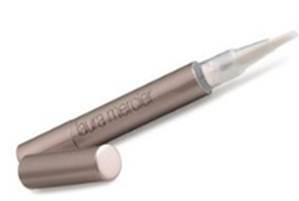 Use this illuminator around your eye area to banish dark circles and give you a wide-eyed look. Apply to the lower temple, moving inwards toward the apple of the cheek. Dab the wand onto your eyelids, cheekbones and the bridge of your nose for a dewy, sun-kissed look. Available in pink ice, silver ice and warm gold.